The Air Conditioners 10,000 BTU AIR CONDITIONER by GE Appliances at Furniture Fair - North Carolina in the Jacksonville, Greenville, Goldsboro, New Bern, Rocky Mount, Wilmington NC area. Product availability may vary. Contact us for the most current availability on this product. Warranty Any part of the air conditioner which fails due to a defect in materials or workmanship. During this limited one-year warranty, GE will also provide, free of charge, all labor and related service to replace the defective part. Designed to be built into the wall, these GE air conditioners do not have the side or top vents that are typical for window air conditioners. Built-ins offer a better weather barrier than standard window air conditioners. Before you buy... The cooling capacity of window air conditioners is measured in British Thermal Units or BTUs. The air BTU rating refers to the cooling power of the product. It is critical that the capacity of a room air conditioner be the right size for the room being cooled. An improperly-sized air conditioner can result in a cold, clammy environment or an inadequately cooled room. Measure the square footage of the room or rooms to be cooled. If an exact match of cooling capacity is not possible, it is preferable to select a unit which is slightly undersize in BTUs, rather than oversize. If the area to be cooled includes a kitchen, add an additional 4000 BTU/hr. When sizing larger living areas, it is usually better to use at least two air conditioners rather than one large unit. Doing so offers better air distribution which reduces the likelihood of hot and cold spots. The Air Conditioners collection is a great option if you are looking for Appliances in the Jacksonville, Greenville, Goldsboro, New Bern, Rocky Mount, Wilmington NC area. 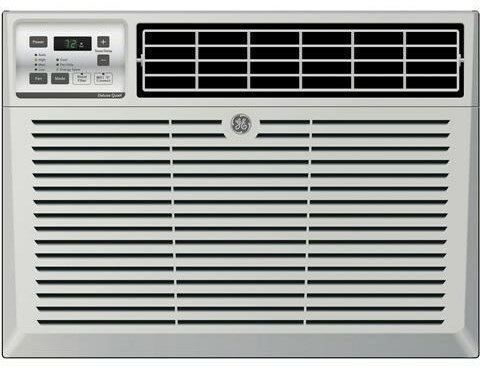 Browse other items in the Air Conditioners collection from Furniture Fair - North Carolina in the Jacksonville, Greenville, Goldsboro, New Bern, Rocky Mount, Wilmington NC area.